This layer gathers all the configuration related to emacs-lisp. This should always be in your dotfile, it is not recommended to uninstall it. To use this configuration layer, add it to your ~/.spacemacs. You will need to add emacs-lisp to the existing dotspacemacs-configuration-layers list in this file. 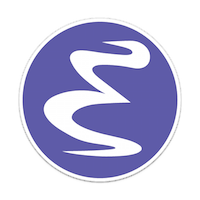 This layer adds the auto-compile package to automatically keep the byte-compiled version of your Emacs lisp files synced with the uncompiled version on every save. If there are any compiler errors in the file, you will see a counter show up in the mode line. You can hover over these numbers to get a description or view the compiler output with the SPC m c l key binding. To disable the feature use this line in your dotspacemacs/user-config function. You can also exclude the auto-compile package. Spacemacs comes with a special lisp-state for working with lisp code that supports slurpage, barfage and more tools you'll likely want when working with lisp. As this state works the same for all files, the documentation is in global DOCUMENTATION.org. In general, use SPC k to interact with the lisp-state. The semantic layer should be installed for these key bindings to become active.